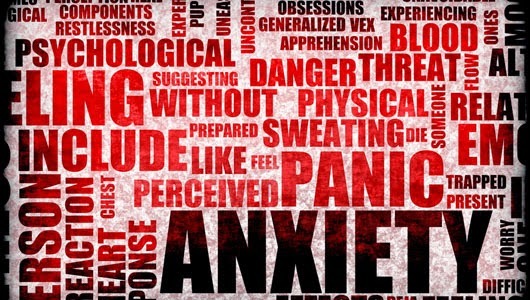 Anyone who has suffered from an anxiety disorder knows they can’t be taken lightly. Depending on the severity of the disorder, it can be difficult to live confidently and interact socially without feeling trapped, judged, or misunderstood. No one knows the tumultuous emotions that go on inside you, and unless you’re talking to someone who has experienced an anxiety disorder, it can be difficult for them to understand why you can’t just snap out of it. If you suffer from an anxiety disorder, it’s important to constantly consider your coping mechanisms and whether or not they are healthy or unhealthy for you. Here are a few of both types of coping mechanisms and possible solutions for the unhealthy ones. Often anxiety disorders are deeply connected to what you eat and how much you exercise. Not everyone’s disorder can be healed through health, but some of the symptoms can become more manageable through diet and exercise. Caffeine and sugar typically heighten the sense of anxiety you feel, so replace eating those with foods high in protein or complex carbohydrates. Exercise typically also helps a great deal, so be sure to get out at least three times per week, for 30 minutes each session. Talking to a therapist, confiding in a good friend, meditation, and a good night’s rest are also healthy ways to manage anxiety. It can be easy to fall into unhealthy coping mechanisms, because they can often mask the struggle of anxiety. The most unhealthy coping mechanisms are drug and alcohol abuse, which may feel good in the moment, because they prevent the sufferer from having to confront or manage anxiety. Learn more about addiction through NJ prescription drug abuse Treatment. While it’s okay to have a drink every once in a while, be careful with this coping mechanism, because it can easily get out of hand, especially if you have a family history of addiction. New Jersey alcohol treatment centers identify signs and symptoms. Alcoholism and drug abuse often lead to isolation, which is not a good place at all for someone who struggles with anxiety. Examine your desires and motivations on a daily basis if you struggle with anxiety, and choose to cope with it through things that will nurture you instead of pursuing a quick fix that may make you feel worse in the long run.